AquaBella’s much-anticipated new addition, the idyllic Bloom Collection of contemporary townhomes, is now available! 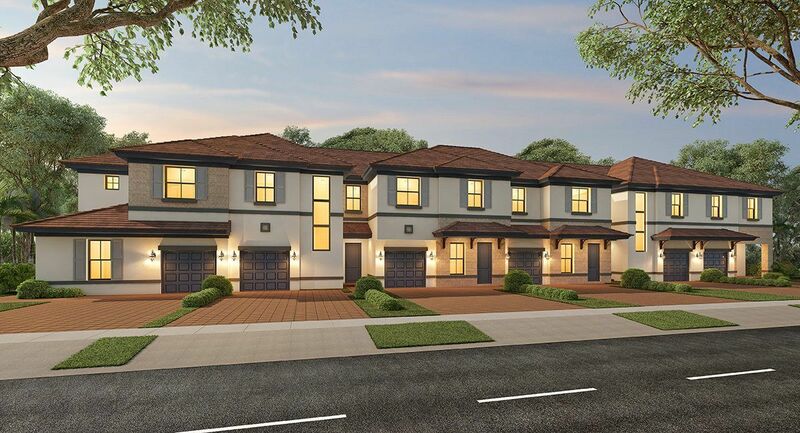 With 5 smartly designed floorplans to choose from—including some with a first-floor bedroom, perfect for an adult child or older family member. All townhomes feature Smart Home Technology with activation and support by Amazon and voice control by Alexa, delivering safety and convenience. Additionally, Lennar’s Everything’s Included® experience ensures that you don’t have to compromise on luxury features. AquaBella, a master-planned, resort-style community built around a magnificent lake, is every family’s dream-come-true. Featuring a deluxe clubhouse, crystalline pool, kids’ water park, fully equipped fitness center, outdoor grilling station and lounge areas, as well as party rooms and more, the AquaBella lifestyle is one of daily enjoyment. Located in Hialeah, close to major transit hubs, AquaBella is also near excellent schools and ample shopping and dining.